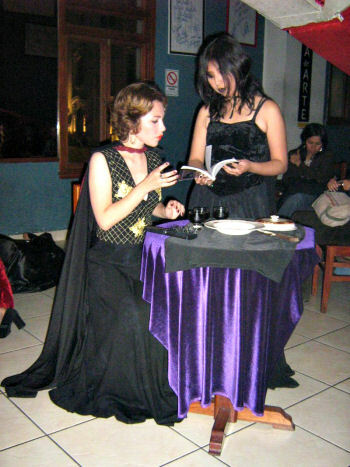 The perfomance of Legado de los Carpatos. The first photo features Maria Campana (director) as a dark character who reads about the legend of the Bloody Countess (notice she is reading from my book! nice detail!) and in the remaining photos Miriam de la Torre as Countess Bathory. 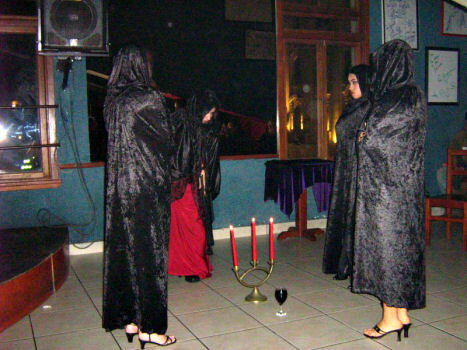 The second performance is the most ritualistic one. 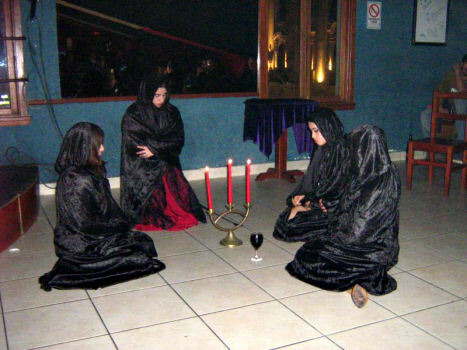 It was inspired in the legends about witchery and dark rituals that surround the Countess and of course turns on the imagination of these gothic girls. First two pictures shows the Countess and her pupils entering the ritual and later on they take off the capes and start a dance. 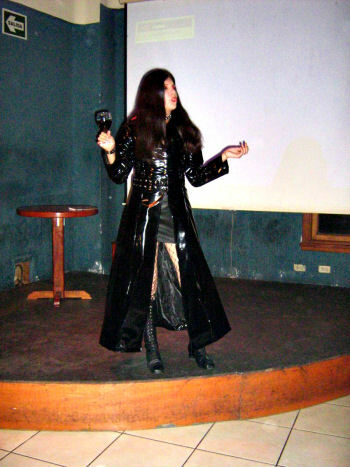 The director of this perfomance is Edith de la Cruz and she also acts in the play; you can see her standing on her feet with a whip. 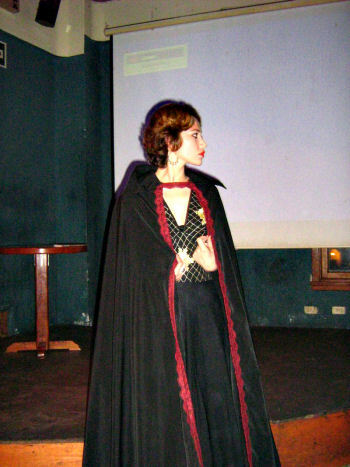 In this perfomance, Ada Escudero portrays the Countess and is the one with the blood-red dress. The last picture is the author and Ada as Countess Bathory.